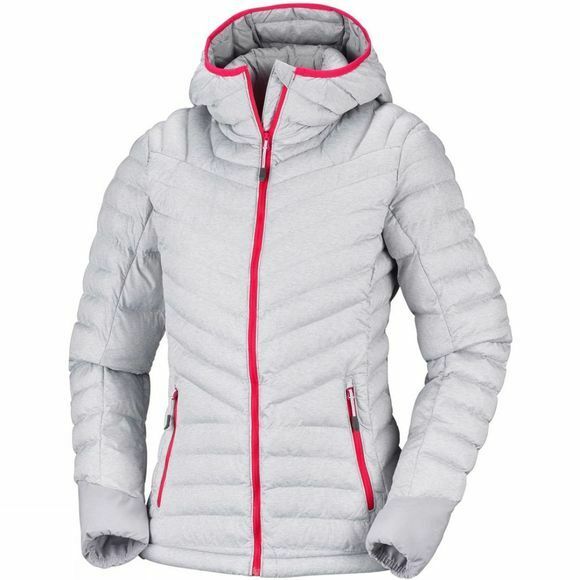 The Womens Windgates Hooded Jacket from Columbia is where function meets design. Columbia comes with this water-resistant hooded down jacket for women looking for protection and good looks. The pattern of the baffle construction and its fit makes sure you look great. 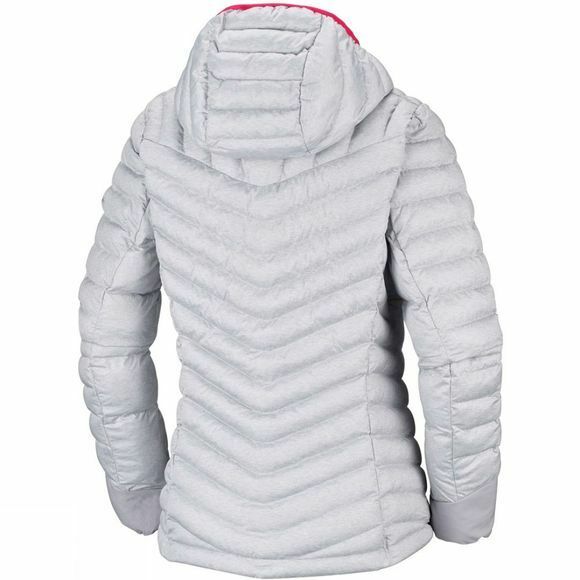 The warmth is provided by the combination of a reflective lining and synthetic down. Functionality has not been forgotten: the chin guard gives you extra protection against the elements and you can store your essentials in the interior security pocket. Tweak the fit for your body with the adjustable drawcord hem.